The Basil Concord Bicycle Basket is a perfect choice for trips to school or commutes to the office. 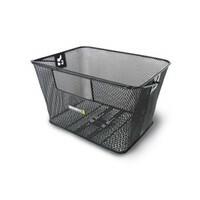 In classic black, this basket is designed for fixed mounting to the rear of women and men’s bicycles. The Basil Concord Bicycle Basket is a more modern choice of bike basket and comes in handy if you’re cycling with a satchel. 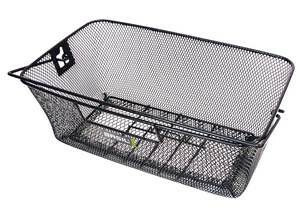 This solid basket is made from hard-wearing steel and offers plenty of space for school essentials, backpacks or shopping bags. Simply attach the basket to the luggage carrier of your bike and you’re good to go. A practical choice for every cyclist, it’ll take the strain off during long journeys and save you having to load up your back and shoulders with backpacks and satchels. As stylish as it is practical, this basket comes in classic black and comes with all the necessary mounting hardware so you don’t need to invest in any extras in order to fit it. 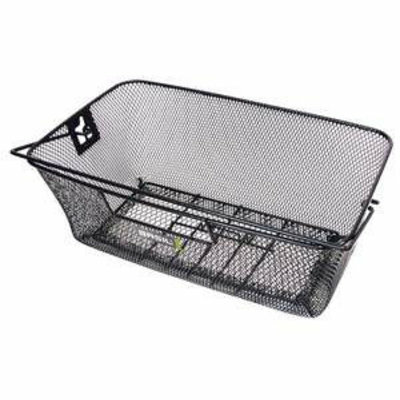 This basket also comes with convenient recesses so you can connect a spring clip. 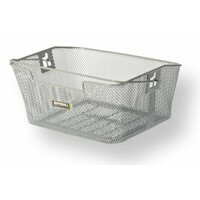 Another handy feature of this basket is that it is removable when you need it, with comfortable handles allowing you to take it with you when you’re all locked up – ideal if you’re heading to the store or are concerned about security. An essential accessory, you’ll wonder how you ever did without the concord. A high-quality design at an affordable price, it’ll make every ride that much easier. 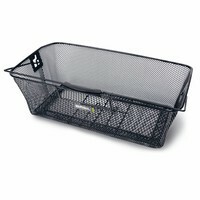 Looking for more brilliant baskets and cycling storage solutions? Browse the complete range from Basil online today. Made from fine-grained steel for durability. Generous capacity can comfortably accommodate shopping bags or backpacks. Removable design with comfortable handles. Easily attached to your luggage rack with mounting fixtures included.